NC joining modules NCFE from Kistler are electromechanical components for the cost-effective realization of simple joining processes with low requirements with regard to measuring range, cycle time and design. Compared to pneumatic or hydraulic processes, NCFE modules have a higher efficiency and are suitable for applications in the measuring range from 10 kN to 80 kN. The standard integrated monitoring system maXYmos NC evaluates and documents the XY curves of joining and pressing processes. Various interfaces are available. PROFIBUS, PROFINET, EtherNet / IP or EtherCAT can be used. Data can be transmitted, visualized and archived via various interfaces. The NCFE joining module has been developed especially for plant builders and operators of conventional power packs. Functionality and design are deliberately streamlined for these simple joining tasks. Plant builders as well as operators of power packs benefit from the NCFE as a pre-tested system with integrated process control. 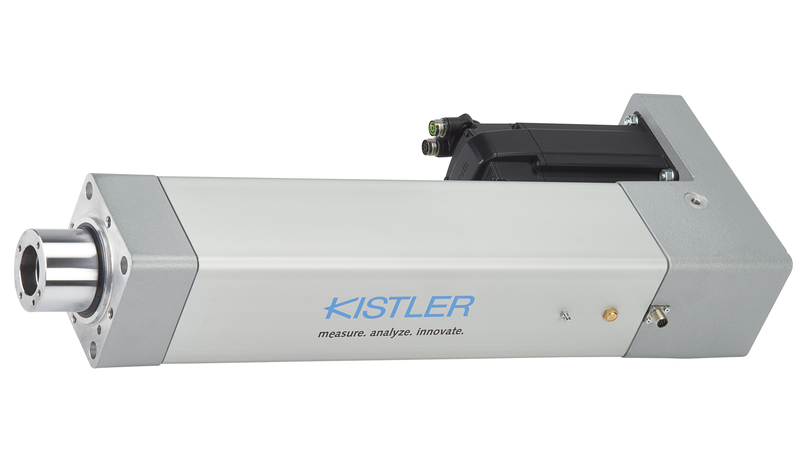 This saves time and money in the development of customer-specific systems and ensures the seamless integration into a higher-level production environment thanks to the uniform operating philosophy of all Kistler process monitoring systems. The NC joining modules NCFE consist of a robust housing with integrated travel sensor as an absolute encoder and strain gauge force sensor. The electromechanical joining modules are operated with the servo amplifier IndraDrive and the monitoring system maXYmos NC. Support rail adapters, display modules and connection cables are optional.